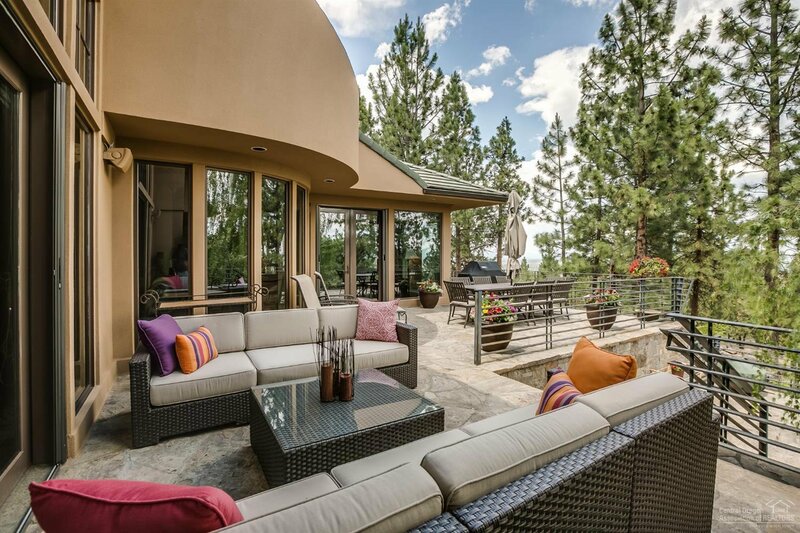 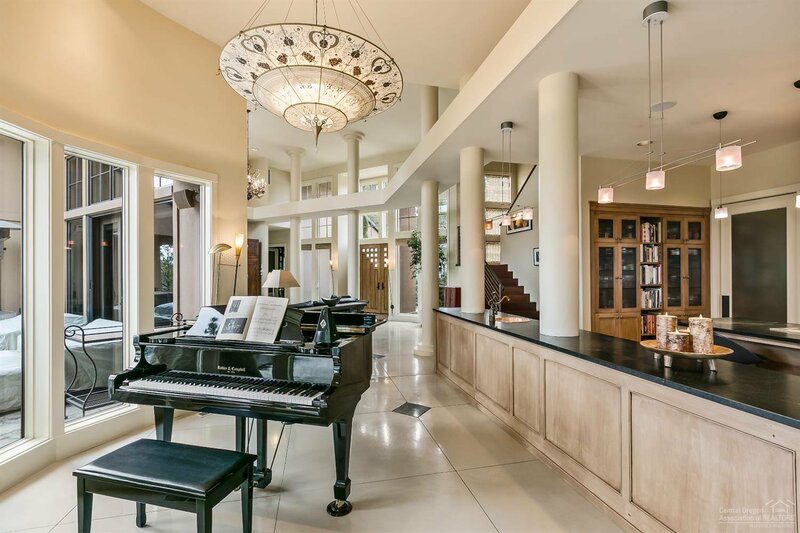 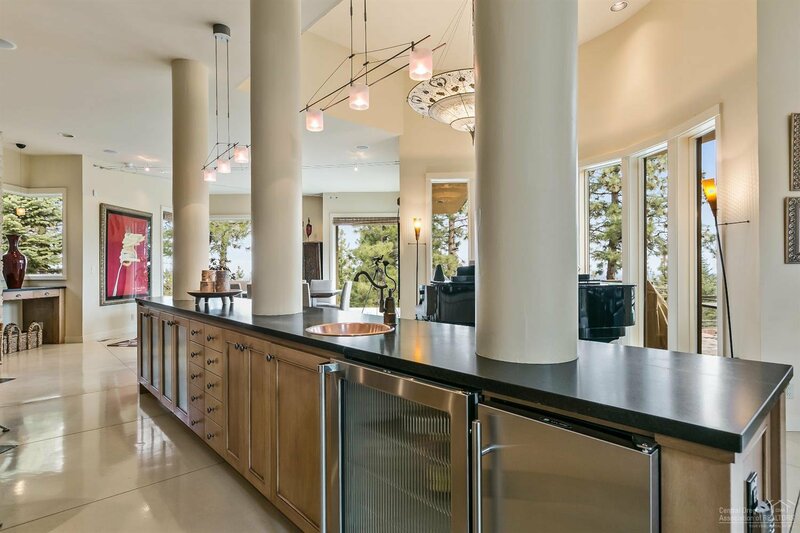 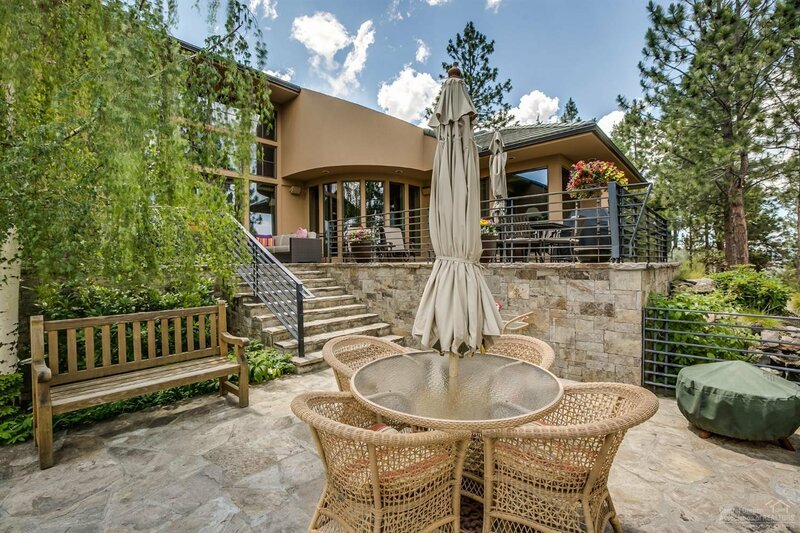 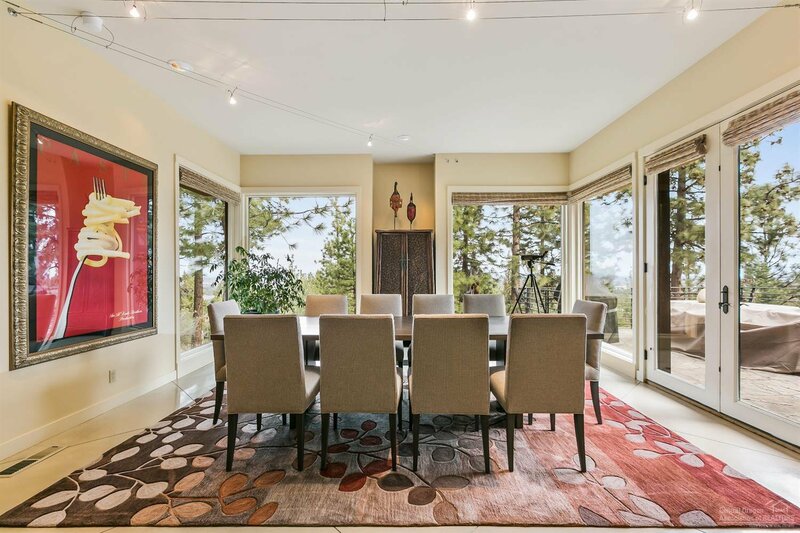 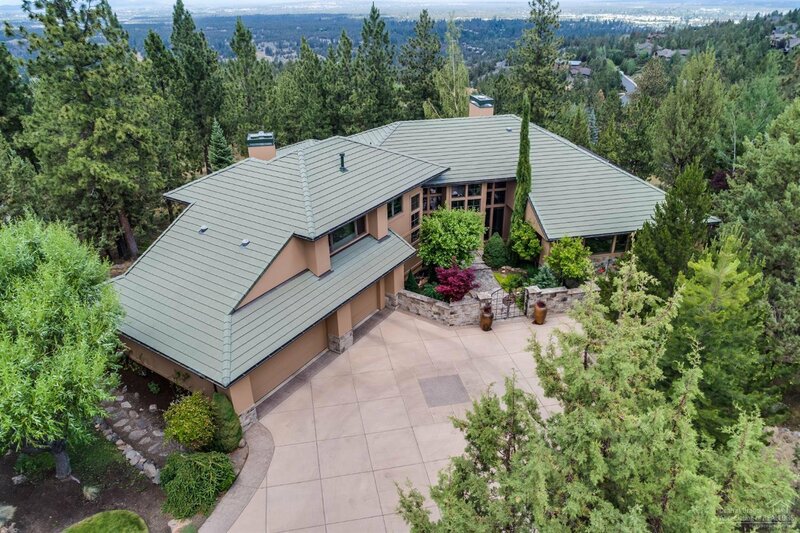 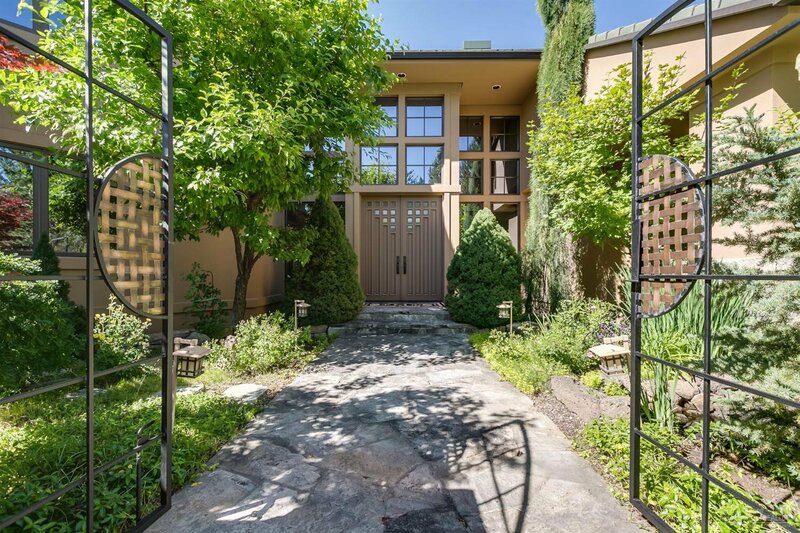 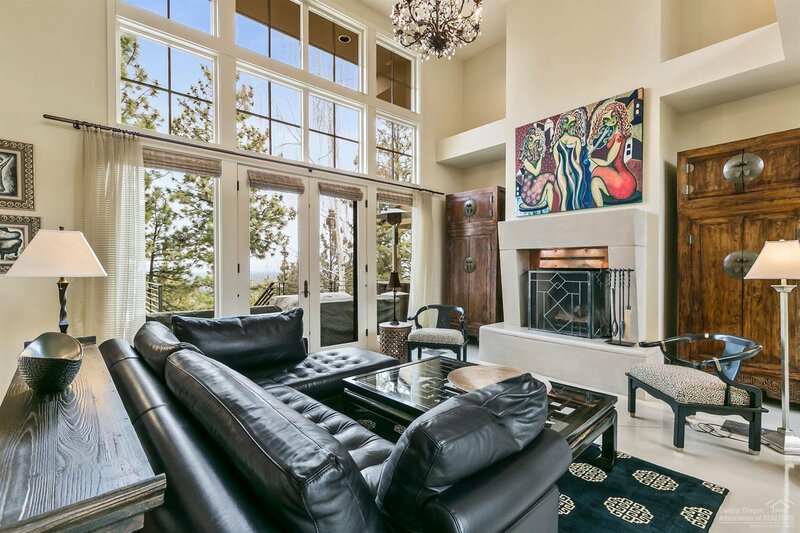 Elegant Awbrey Butte residence, light & bright with expansive NE Mountain & City Views. 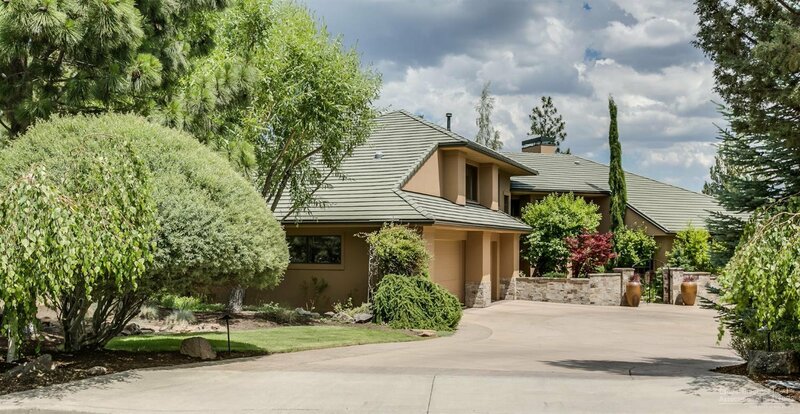 A large flat driveway off a quiet cul-de-sac & tile roof are stand out features for the Awbrey Butte neighborhood. 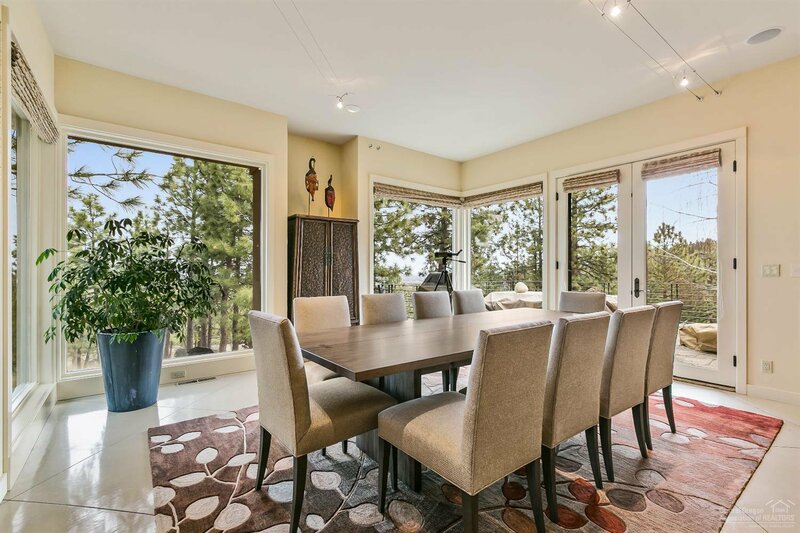 Expansive Northerly, Cascade Mountain, Smith Rock and twinkling lights City views. 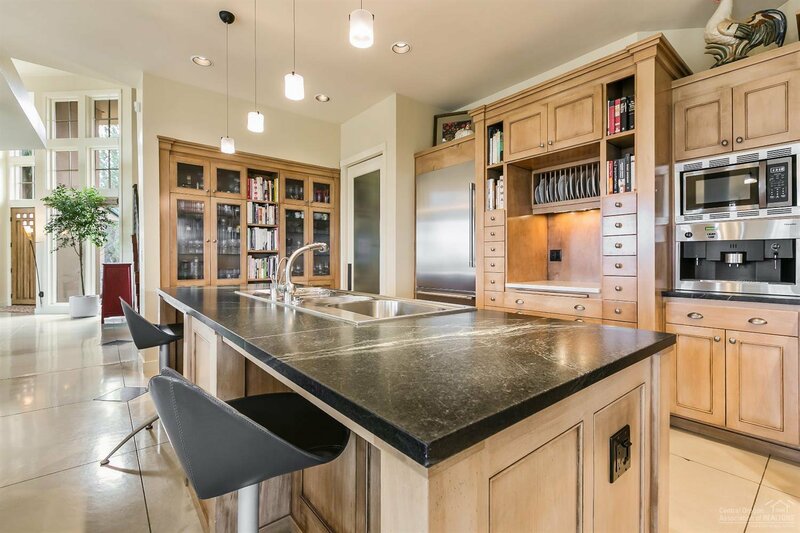 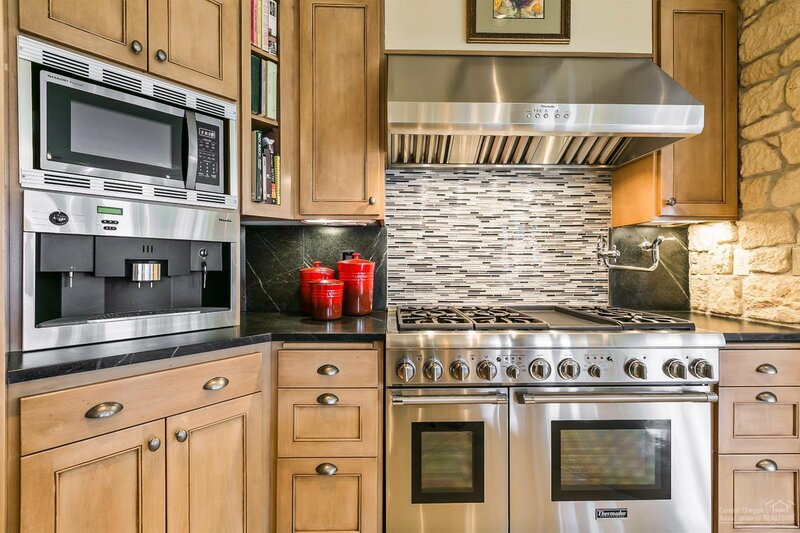 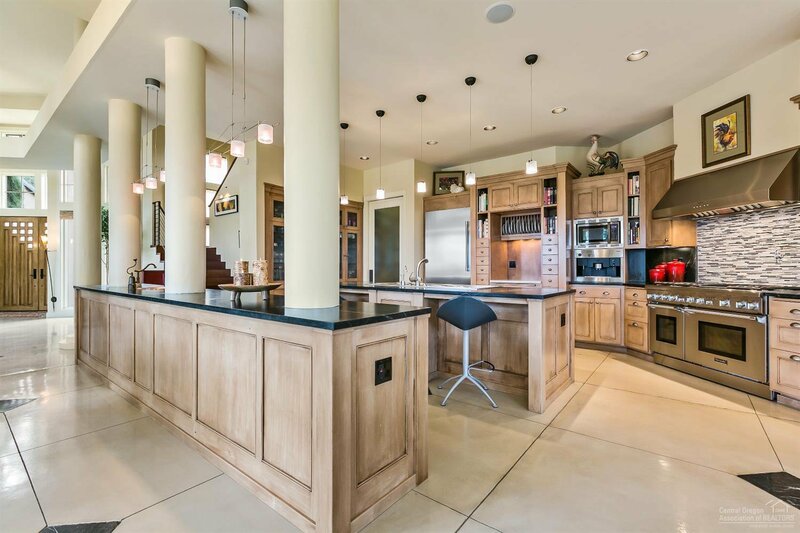 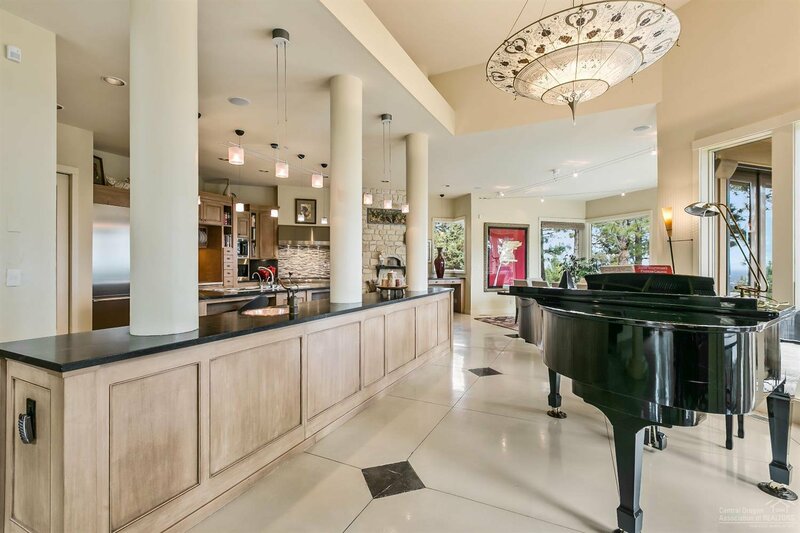 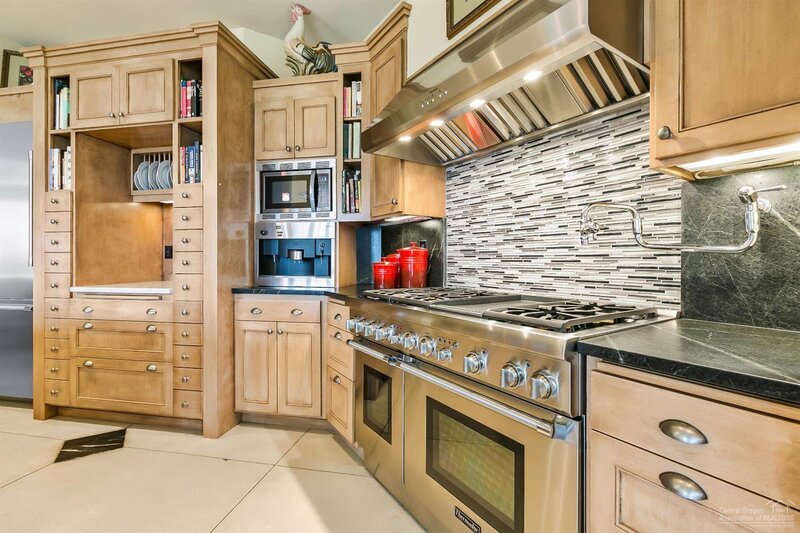 Impressive Chef's kitchen with new Thermador SS Appliances, gas fired bread/pizza oven, double islands, tons of custom cabinetry, storage & a restaurant style pantry. 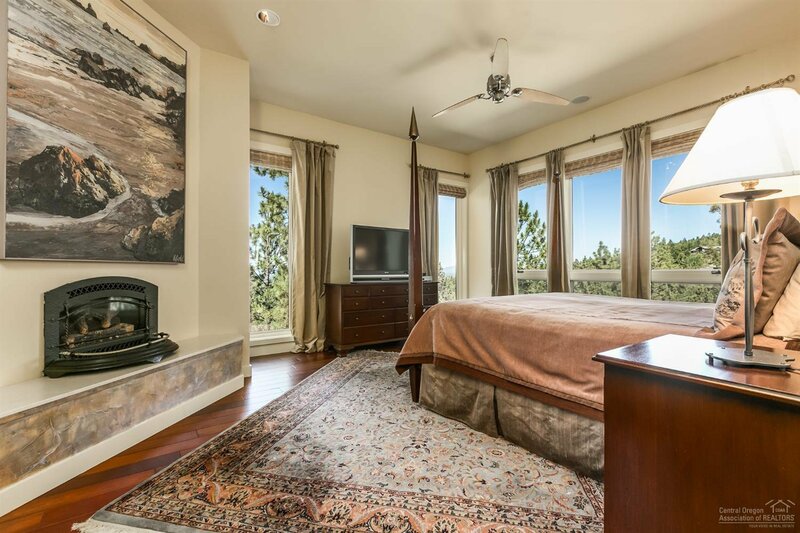 With the Main level master suite & private office, this home lives like a one level with no stairs at the entry or from the garage. 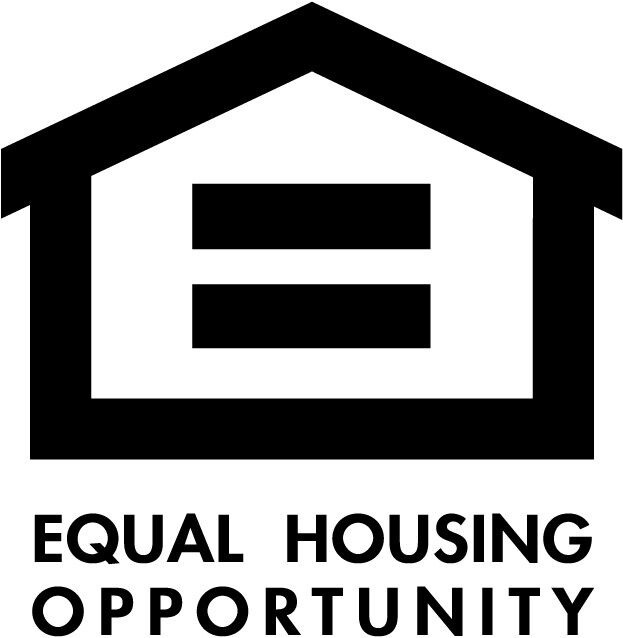 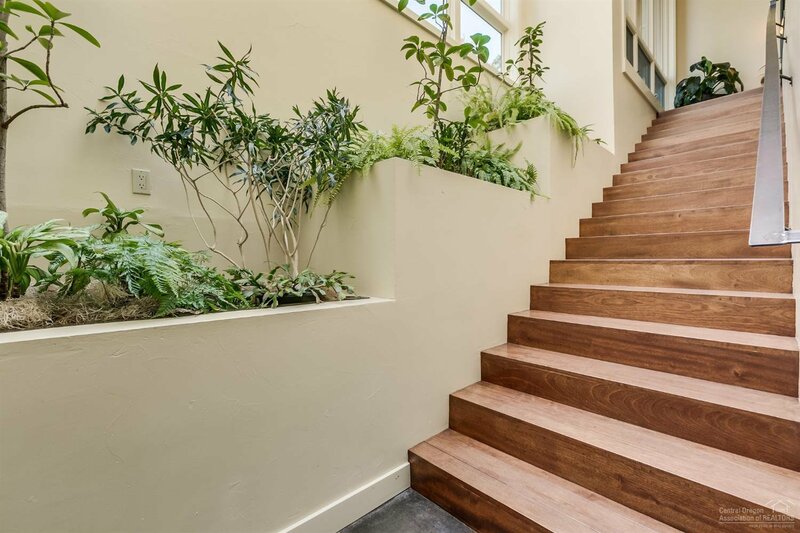 Upstairs are 2 bedrooms, full bath and a library loft. 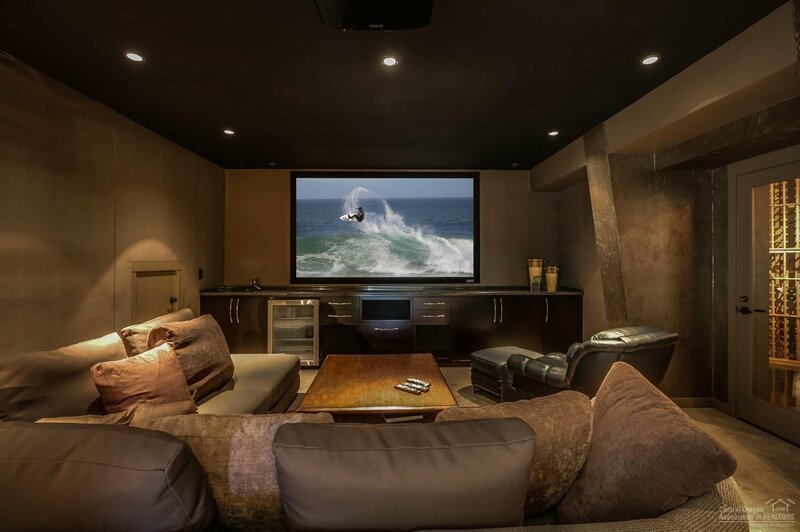 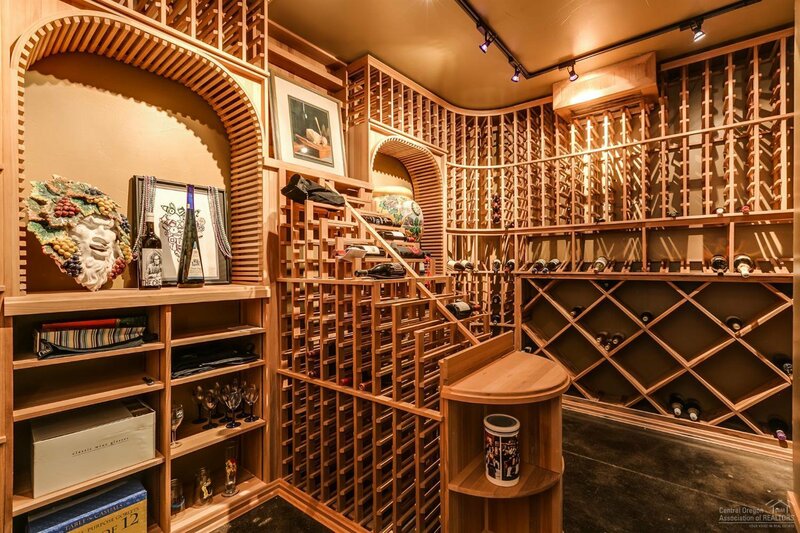 Downstairs is the Guest bedroom, a true theater room & the temperature controlled 3800+ bottle wine cellar. 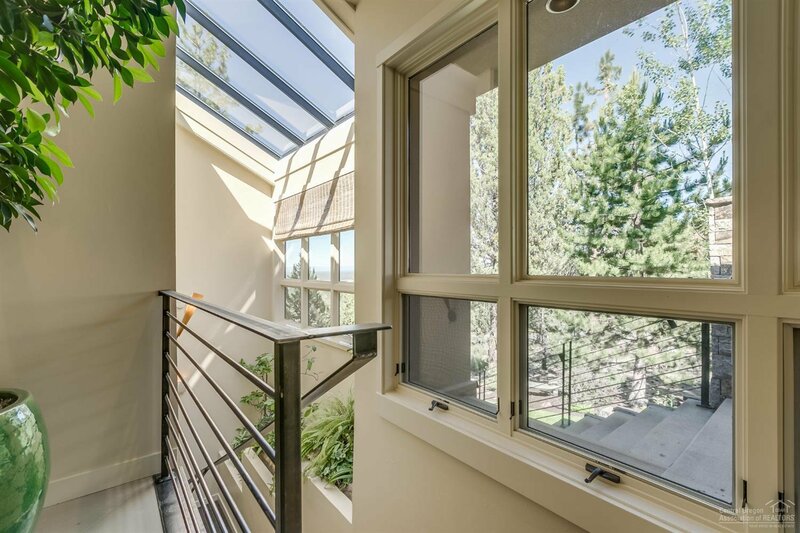 South facing indoor garden brings light & nature inside year round. 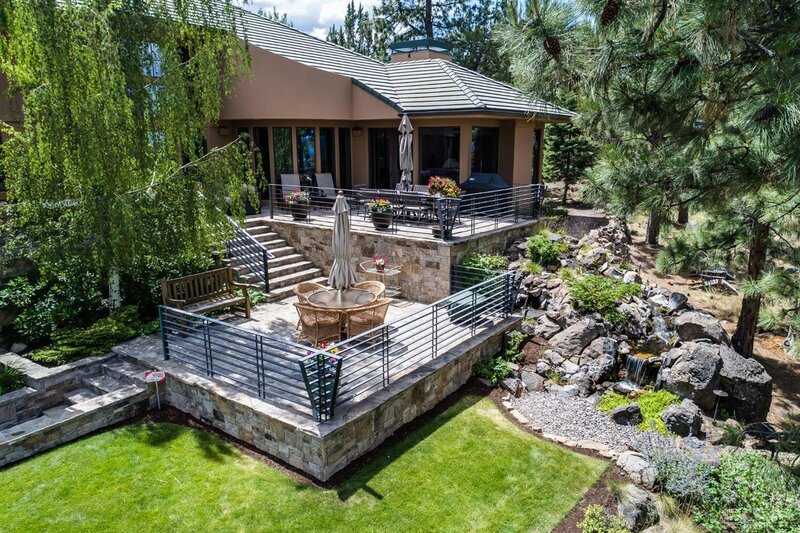 Extensive outdoor living spaces with multiple stone patios & water features, beautifully landscaped & lighted- especially usable in the summer months with relief from the Western sun. 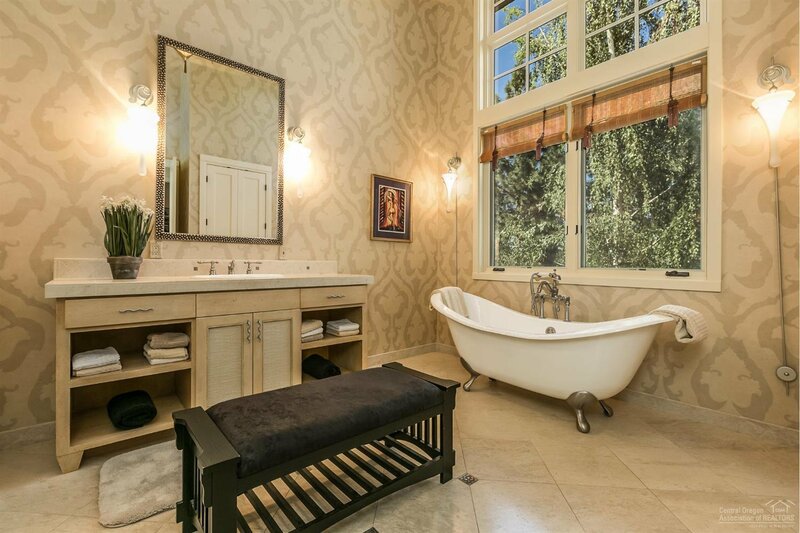 Listing courtesy of RE/MAX Key Properties. 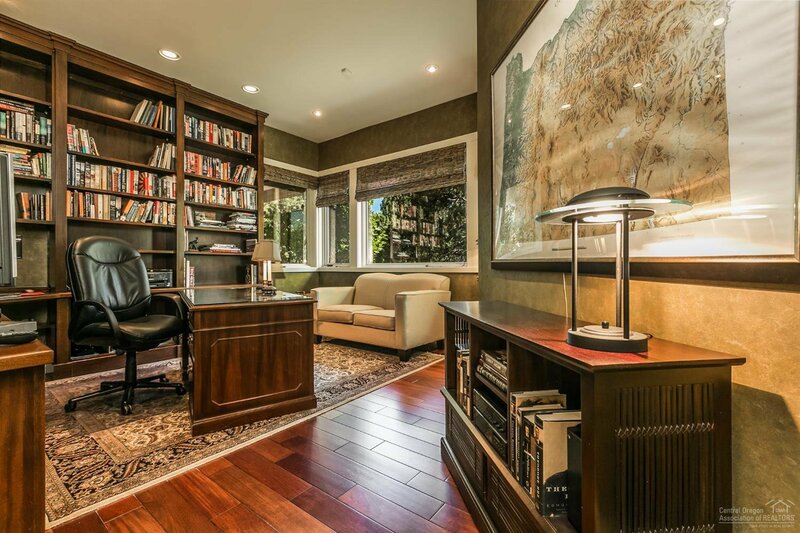 Selling Office: Berkshire Hathaway HomeService.